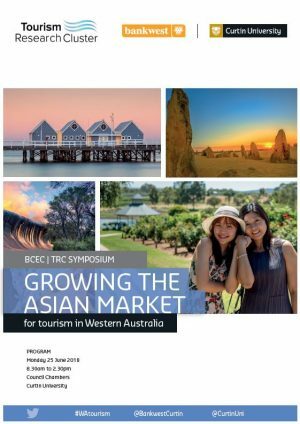 The Tourism Research Cluster (TRC) together with the Bankwest Curtin Economics Centre (BCEC) invite you to a special symposium, Growing the Asian market for tourism in WA. This symposium will explore ways in which to grow international tourism from the diverse Asian market to Western Australia. 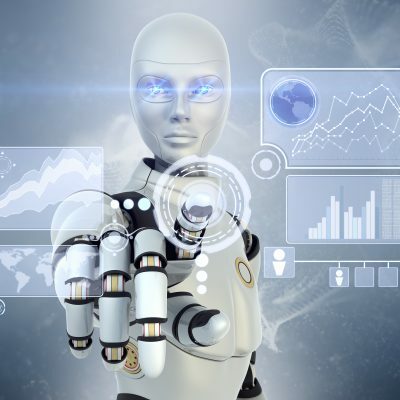 Join international keynote speaker, Professor Dr. Wolfgang Arlt from the China Outbound Tourism Research Institute in Germany and other key industry and academic experts, to learn about the most current topics and research findings within this important theme. 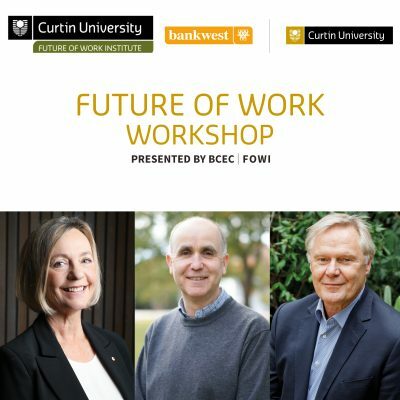 As part of the event, we will be launching the Bankwest Curtin Economics Centre funded report ‘Are we China-ready? 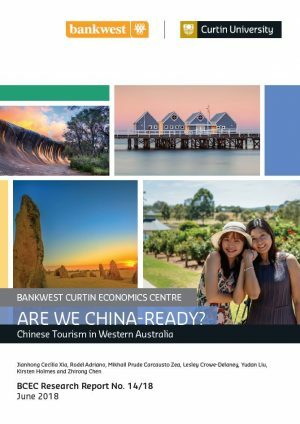 Chinese Tourism in Western Australia‘ by Associate Professor Jianhong (Cecilia) Xia, Professor Kirsten Holmes and Dr Torsten Reiners, which examines Chinese tourists’ detailed travel experiences in WA. 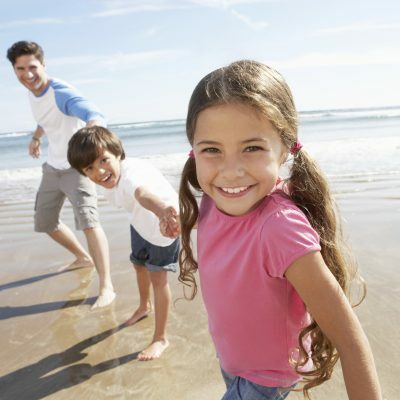 This report recommends trip itineraries suitable for Chinese visitors, and provides consumer and market insights, which can inform tourism businesses, and government policies and strategies. 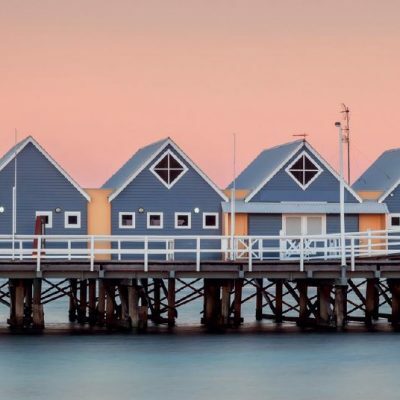 Please join us to discuss how best to grow international tourism from the diverse Asian market to Western Australia with prominent government, industry and community leaders.